Roberts R-Line S2 review | What Hi-Fi? 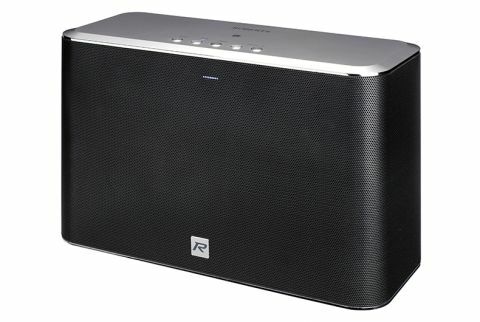 Betting on the Roberts R-Line S2 to win ‘multi-room speaker of the year’ would be like putting money on Bjorn Borg to win Wimbledon next year. If you only consider the track record, it’s a tempting proposition, provided you ignore pointers like current status and recent form. By way of a form guide for the Roberts R-Line series, the S2’s little brother, the S1, scored three stars for its average performance and sparse streaming service support. Bearing that in mind that all the S2 brings is an extra woofer and £100 price hike, we’re right to be cautious. If anything, the bigger model offers worse value for money. In a similar fashion to the S1, it’s the sonic execution that lies at the heart of the R-Line S2’s undoing. The S2’s presentation can feel gridlocked when playing dense songs, it’s almost as though the instruments have to elbow each other out of the way to be heard. While we don’t expect tip-top timing for a speaker of this calibre, some notes that make up the lopsided rhythmic track in Radiohead’s Lotus Flower wander astray. The delivery isn’t quite as punctual or precise as we’d like, and you can’t help but feel there should be more enthusiasm on the S2’s part. It lacks the dynamic ability to give the draping synths enough rope to play and the punch to drive at the beat. But although bass isn’t the quickest – like the delivery as a whole, it feels a little in need of a caffeine boost – the extra woofer over the Roberts S1 does go a long way in producing a fuller and more pronounced bass. The Red Hot Chilli Peppers’ new album isn’t short of the band’s signature stocky bass lines, and the driving Dark Necessities sounds deep and weighty through the R-Line S2, hammering along with enough low-end weight. This speaker is clear and loud too, and compared to the S1, the presentation is bigger in every dimension. Rest assured, it won’t be daunted by a large living room. Ultimately though, listening to the S2 is like sticking your hand in a feel box at a museum; you get the general outline of a song, but can only tell so much about it. It’s a pity because elsewhere the Roberts R-Line S2 speaker makes a good case for becoming part of your household furniture. For one, its rectangular silver chassis is smart enough to take centre stage on your mantelpiece, and sufficiently compact to tuck into the corner of your kitchen worktop. You may be disheartened by the absence of a text display on a speaker this size, but it doesn’t feel like a loss; the LED light, which glows a specific colour according to the selected source, is adequate. Setting up the Roberts S2 is plain sailing using third-party app Undok. The functions are comprehensive and, thanks to an intuitive layout, it’s ideal for the multi-room newbie. And not once do we feel the urge to throw our phone at the wall when using it, which is a bonus. That’s so often the case with flaky multi-room apps. Without extensive streaming service support to cover the likes of Tidal and Amazon Music, the Roberts may not appeal to those with loyalties there. But any one of Spotify’s claimed 20 million paying subscribers will be able to take advantage of Spotify Connect. The Undok app doesn’t integrate Spotify to the same extent as the Sonos and Bose multi-room apps, instead directing you to the streaming service itself, but you can handily control volume and track skipping directly from the Undok app interface. Internet radio offers thousands of channels from around the world too, and of course DLNA functionality means it can play music stored on your network, whether that be on a laptop or NAS drive. The added option of wired playback (via the 3.5mm input) and Bluetooth make it one of the most connected multi-room speakers on the market too. You can also connect two S2s to create a stereo pair, using the switch on the back to allocate one for the left channel and one for the right. MORE: AptX HD Bluetooth: What is it? How can you get it? Sadly for Roberts, that convenience almost pales into insignificance when reminded of the R-Line S2’s sound quality. At this price, you’re better off hedging your bets and rolling with multi-room prodigies like the Sonos Play:3 or Bluesound Pulse Flex instead.